We saw those last years, the rise of divorces that weren’t motivated by a serious explanation. In the past, I have heard of women who got divorced because their husband was an alcoholic or a drug addict. Today, I hear that women divorce because they found that their husband was boring or that he was a macho man. Those women also had children and it didn’t change anything. I have also met women who didn’t have a real motive at all. For example, a woman said “we used to get upset at each other all the time”. “This didn’t work between us”. As you can see, it is very vague. Here is my explanation. I think that those women grew up while treated like princeses. They are narcissistic and they can’t tolerate any twists to their lifestyle. Just like spoiled children, they want the best possible lifestyle, they want vacations, houses, products, services. They want a man who will always say yes to their requests. They want a man who is ready to give attention 24 hours a day 7 days a week. This man should be at his woman’s service. He should never say no. He should behave just like she wants. The divorce is the result of men failing to comply with those woman rules. When people say that women are now free to choose. That does not explain anything about the reasons for a divorce. 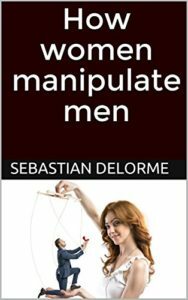 To me, I think that many women lie about the motives that led them to divorce. The real reason behind all those divorces is MONEY. However, few women admit that their husband earned less than what they expected.